A distinguishing feature of post-industrialized culture is an obsession with control. Post-industrialized societies believe humans can and should be in command of the natural world: we want to eat cherries in winter, build houses in flood zones, swim in the desert, and have carpet-like front lawns. Most significantly, our society depends on monocropping, a precarious and unsustainable form of environmental control. This desire for environmental control applies to other human beings as well. The social institution of compulsory schooling rests on the suicidal notion that humans of our society are in ultimate control – of the environment and of other human beings. You will notice that in the above quote by Dewey (who is often credited as the benevolent and practical father of our present educational system), the words “control” and “environment” each appear twice – this is because literal environmental control is crucially important to the functioning of compulsory schooling. We believe we can control what other humans experience, just as we believe we can control what plants grow, what animals may live and where water flows. The mainstream of our society rests upon the belief that total environmental control is possible and that it is benign. What is wrong with humans being in control of the environment? By “playing God” we refuse to admit our dependence upon, and indeed, our place as an inseparable part of nature. Our attempts at “controlling the environment” have resulted in floods, droughts, toxic waterways, and skyrocketing cancer rates (to name but a few consequences). Remember the paint advertisement that exhorted people to “cover the earth?” The multiple belching smokestack icon as the symbol of progress? Nuclear power as the answer to our energy gluttony? All of these destructive notions stem from our faith in our ability to control the environment, and our belief that controlling the environment is progress. Likewise, compulsory schooling adherents believe that controlling learning environments will yield desirable results; but they are dead wrong. Environmental control, couched as progress, is crucially linked to the Industrial Revolution. We went from an agrarian, rural, home-based, interdependent, self-sufficient society to an urban, dependent, anonymous, factory-based populace. And the zeitgeist of environmental control fed the campaign for compulsory schooling. Ellwood P. Cubberly, Dean of the School of Education at Stanford lectures in 1933, said, “These discarded parts and worn-out machines have to be replaced with new parts and pieces of machinery of equivalent type, merely to maintain output and keep the factory running on a equal scale of efficiency…The education of a people is not any exception to this business law.” In this view, people are not creatures of the natural world, but mechanical parts manufactured to fit a pre-existing industrial machine. Following the industrial revolution in North America, compulsory schooling pioneers deliberately jettisoned one-room schoolhouse ideas for consolidated, age-segregated, all-day security complexes in order to achieve control of citizens. Education scholar Paul Violas wrote, “Industrial requirements were now cast in terms of behavior rather than skill.” And new compulsory schools were the instruments of teaching proper post-industrial behavior. Controlling the environment was key to controlling behavior, the founding aim of compulsory schooling. Compulsory schooling drives home this lesson. The young are kept out of the way until full maturity, at which point they are well prepared to take on their roles of subordinate worker and consumer. The prospect of Americans returning to a nation of self-employed entrepreneurs and freethinkers is antithetical to industrialized society. For industrialized society to succeed, education must be efficient – the primary business of school must be to churn out replacement workers to fill existing slots in industry. The vast majority of industrialized children must learn not to set their goals too highly or abstractly. Compulsory schooling maximally controls the environment in which children exist in order to control their possible futures. The educational environment teaches them to be self-limiting and resigned to the prefabricated slots available to them. People may not ordinarily think of it or discuss it in such terms, but think of the question, “What do you want to be when you grow up?” What is an appropriate answer? “Happy?” “Needed?” “Loved?” No, the answers are, “Teacher,” “Pilot,” “Fire-fighter,” “Office Manager,” “Dentist.” (No fair picking two.) This control of imagination is achieved through the educational environment: what our young people hear, see, smell, touch, taste; when they may speak and to whom; when they can move, stand up, stretch, sleep; when they can move their bowels, what they may think about. This is absolute environmental control. And similar to the disasters caused by our obsession for control of the natural world, our institutions’ demand for control of human experience is at once a slow build-up of toxicity and a catastrophe waiting to happen. The Biosphere II experiment, in which an artificial earth was created, ended early in crisis because the designers hadn’t realized that they couldn’t duplicate the interconnected world we belong to. Who would have guessed that wind makes for strong trees or the myriad species of insects needed for the proper cycling of waste and nutrients? As with education, when we limit the environment, we never know if the things we are screening out are the very things we need to survive. Through the environment of compulsory schooling, we have been trained to value sameness and conformity. Primary and secondary schools are age-segregated, cloistered, and regimented. A child is required to keep in lockstep with others in her/his class. We have been raised, by the state, to equate conformity with safety and belonging. A case-in-point example would be the explosion of franchised fast food places: we know the food is unhealthy and not very tasty, but we are comforted by the predictability of the choice. We know what to expect and therefore feel safe. This desire for sameness and predictability is anti-nature; nature has cycles, seasons, and abundant variation. What else does compulsory schooling teach? It teaches you not only to personally conform, but to value conformity, to despise differences, to be dependent upon institutions, to separate yourself from the natural world, and to devalue family and community. It teaches that to be intellectually curious is to be a troublemaker and that to grow up is forbidden until the system is ready to release you. No amount of facilities, money, training, or certification requirements is going to fix the problems of compulsory primary and secondary schools in the United States. This is because the “problems” of the compulsory school system, such as bullying and conformity, are not really problems at all. They are intentional results of this particular created environment. The real problems are the blowback; the unintended but inevitable physical and mental consequences of imprisonment – poor physical health, mental illness, rage, cruelty, disaffection, and moral/spiritual vacancy. Teachers’ frustrations about teaching to the test, about regimented curriculum, and about lack of autonomy are natural results of an education system set up to produce unquestioning, manipulable citizens. Parents’ complaints about their children being left behind, bored, harassed, or treated with indifference are quite valid. Students’ unhappiness at having to conform, about the lack of personal attention or privacy are legitimate. All of these concerns are genuine but unheeded in our post-industrial world. When such malcontents have learned to accept that “that’s just the way things are,” then they will have learned the lesson of compulsory schooling – to limit expectations and to conform. B.F. Skinner, of behavioral psychology fame, produced a literal example of training someone to “think inside the box.” He sequestered his own daughter in an “heir conditioner” which was supposed to control for all variables in her upbringing. We may laugh at this flagrant attempt at control, but it is only grotesque in its obviousness and not at all out of line with institutional thinking. Educational authorities of Dewey’s time openly discussed controlling the environment to produce predictable conformity. As John Taylor Gatto has revealed, the Prussian system was held up as a model to be emulated: students are labeled, sorted, indoctrinated, and tracked. Frank discussion of manipulating citizenry has become taboo following the horrific events of Nazi Germany and the disgraceful eugenics movement within the United States. Subsequently, our society has been required to pretend that compulsory schooling is about personal fulfillment and social equality. A brief examination of these supposed goals reveals them to be utterly hypocritical. Mental and stress-induced illnesses (even in children), along with social inequality, have reached unprecedented levels in the United States and other modern countries. 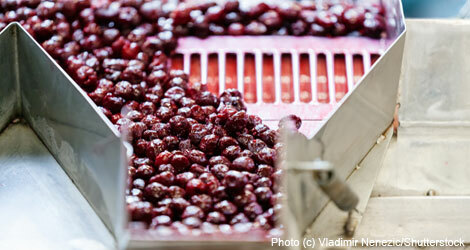 Let’s face it: a machine created to make cardboard boxes is not going to produce exotic fruits. It has been noted many times that modern schools look like prisons (without the barbed wire, of course). This is no accident, as schools and prisons serve the same function – to keep people under control. Frank Lloyd Wright’s idea of form following function is echoed in architect William McDonough’s insight: “design signals intention.” The starkness of the prison landscape compares with the starkness of the consolidated compulsory school environment. This is absolutely intentional; it suits the aims of the institution. The occupants are not to be distracted by the outside world, by nature or their own perceptions. Have you ever seen a group of schoolchildren on a field trip heading towards you? Did you beat a retreat away from them? Why is this? Humans who are caged up day after day burst forth as unchained prisoners when they are permitted small freedoms. They want to do everything at once, experience everything possible in the short time they are permitted before being locked away in an antisocial, artificial environment again. Children in non-industrialized societies do not run around causing mayhem because they are not prisoners. It is not natural for humans to be confined and controlled. When they are, they exhibit signs of social maladjustment, just as other caged animals do. What is natural is for humans to engage in mutually beneficial, cooperative activities – so long as they are not deprived of self-determination, usefulness, dignity, or freedom. Many professional educators in our culture are evangelistic, sending missionaries to help “educate” those of “primitive societies,” meaning that we need to lock them away in a schoolhouse like our own industrialized children. Are children in these other kinds of societies educated? In their 1959 Funk & Wagnall’s Survival Book, Nesbitt, Pond, and Allen describe the Australian Aborigine as, “exceedingly primitive and leads a simple and crude life.” In the same paragraph, the authors continue, without irony, “They have an astounding knowledge of the animal and plant life of the bush country…” They go on to say, “In spite of their material simplicity, the natives have evolved such a complex social and religious system that, like Einstein’s theory of relativity, it is beyond comprehension of the ordinary man.” These do not sound like “simple and primitive” humans. They do not conform to our standard of institutions and industrialization, so we call them uneducated, but they, and they alone of our species, are perfectly attuned to survive indefinitely in the Australian outback, their natural environment. They do not “control” their environment, but are part of it. Needless to say, efforts to draw or force the Aborigines into industrialized roles have proven disastrous to their survival. As Ivan Ilich says in his book Deschooling Society, schooling is not education. Compulsory schooling is not public education. Public education is free public libraries, museums, guided walks in the forest, discussion groups, town meetings, public lectures, debates, forums, presentations, public performance, revolving apprenticeships, volunteer work, and open ungraded classes. Real education can be spontaneous, like a discussion at a bus stop. Real education is carefully observing the world around you. Real education comes in solving real problems. Real education is participating in life, not being removed from the natural world, your family and society to be sequestered in a classroom day after day. Real education cannot be imposed or mandated. Each individual chooses when it is the right time to learn something. Real education is not the domain of professional educators; it is as natural a part of everyday human life as breathing. Real education is not age-segregated and does not take place in designated learning zones. Real education is freeing and mind-expanding. Compulsory schooling is the opposite of real education; it is incarceration and indoctrination. It is, to put it politely, limiting. To demand conformity is to deny nature. Snowflake Bentley showed us that no two snowflakes are alike. Diversity is the key to a healthy ecosystem and a healthy society. Alvin Toffler, in his hugely successful book Futureshock, maintained that the diminishment of variety could be disastrous in the case of blight. Forcibly monocropping people diminishes the ability of our species to adapt and fill natural niches – and eliminates those within a society who may be able to look at problems from unusual perspectives. Dewey’s predecessor, Horace Mann, in his tenth report to the Massachusetts Board of Education, wrote, “I have no right, even on my own land, to build up a wall, mountain-high, that shall eclipse the sun to my neighbor’s eyes.” In other words, no one has the right to control another person’s environment. But mustn’t we keep our children safe from dangers? Of course. But keeping children safe from danger does not logically mean compelling them to attend school. We can keep our children safe by rejecting exploitive child labor, by keeping young people close to us, by allowing children to learn how adults interact in our natural environment, by allowing them to participate as full members in the everyday life of their communities, and by allowing them to grow up in their own individual time frames. In this way they can learn to live safely as part of their environment and part of a community, not as strangers set on subduing the natural world. The best-educated person can survive and thrive in her given natural environment. In our quest to become educated, we must demand physical and mental freedom for ourselves and our children; we must resist control and pigeon-holing. We cannot allow institutions to “control” our environments. If we repair our alienation from the natural world in which we evolved, we can reach fullness as the magnificent and integrated part of our Earth home that we were born to be. Gina Cassidy began her education after leaving graduate school. She rides her bike (most days) to her part-time composition teaching job at the local community college. Her most profound influences include John Taylor Gatto, Daniel Quinn, her partner Ken, and her four amazing children. She is an active member of the Green Party of Illinois, several food co-ops and the Center for Sustainable Community at Stelle, Illinois. She and her family are busy dreaming about (and working on) turning three acres of newly acquired farm wasteland into a self-sufficient, permacultured homestead, integrating the natural world with the best of human accomplishments. 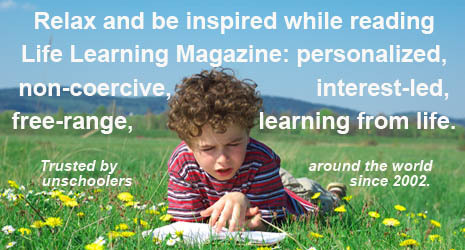 Gina is also a prolific writer and this is her fourth article for Life Learning Magazine.